Caitlin McPherson, Valliant High School senior has been awarded the Hoffen Foundation Dillon Wolford Scholarship for $1,000. 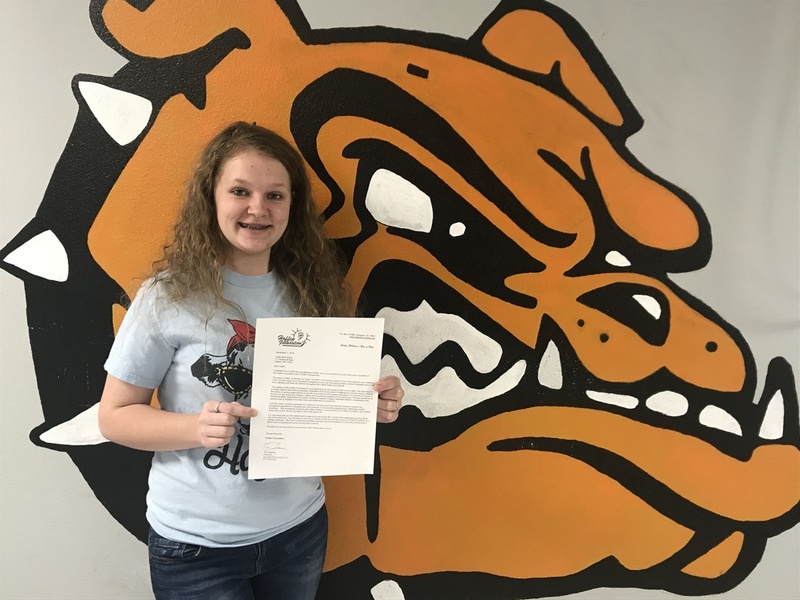 She plans to attend East Central University and major in nursing. Caitlin is the daughter of Amanda Snider. Copyright © Valliant Public Schools 2019. All rights reserved.